The Big Bookend are currently running a writing competition aimed at young writers in the city. They would like you to write a short story or poem about the First World War. If you are between 7 and 16 and you do then you could win a prize. The competition is part of the ‘First World War and Nidderdale Area of Outstanding Natural Beauty: Leeds Pals, POWs and the Home Front’ project and in association with the Leeds Big Bookend. You could be a budding writer with an interest in the First World War or someone who works with young people who are studying the First World War. The competition aims to encourage young people from Yorkshire to reflect on and write about the First World War – be it war at sea, theatres of war around the world or the war on the Home Front here in Yorkshire. Stories that reflect on the impact of the First World War on local people and places are encouraged. Entries could be short stories, poem or verse, as long as they meet the terms of entry described below. The winning entries will be published on Nidderdale Area of Outstanding Natural Beauty’s and the Leeds Big Bookend’s websites and used in other displays and presentations as part of the First World War Centenary project. 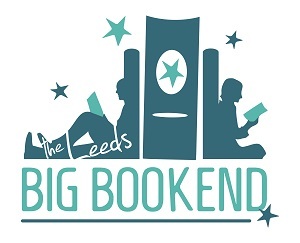 For further details about the project and about the Big Bookend Festival, have a look at their website. Calling all budding young authors! Have you got an aspiring young writer in the family? Budding young writers can have a spring in their step thanks to a great new story competition. And there is even the chance for them to have their story read out at Leeds Central Library as the prize. The Yorkshire Evening Post has teamed up with Leeds Library and Information Service for this Spring-themed contest. To enter children just have to write a story of 200 words or less. It must also start with the following intro which is not included in the word count. There will be categories for primary schoolchildren, secondary schoolchildren and pupils at special schools. The winning stories will then be read out by Leeds illustrator and author of Mariella Mystery Investigates series, Kate Pankhurst on April 10. The winners will also have a chance to meet Kate. All entries by email to hannah.start@jpress.co.uk or sent in using the share a story button www.yorkshireeveningpost.co.uk by March 20th 2015. Entries may appear in the paper and online. Here’s a list of novel and short story writing competitions. We wish you all the best if you are hoping to enter. Comica Graphic Short Story Prize. – competition run by The Observer, Jonathan Cape and ComicaGraphic. Short stories in black and white or colour, fact or fiction, with or without words. Collaboration with an artist is OK. Entry: Free. Prizes: 1st – £1,000 and story published in the Observer New Review. Runners-up – £250 and online publication. Closing date: 26.09.14. Literature Works First Page Writing Prize. Submit the first page of your unpublished novel plus a 150-word synopsis. Entry Fee: £6 for the first, then £3. Prizes: 1st – £1,500 plus a reading from a literary agent. 2nd – £350. 3rd – £150. Closing date: 30.09.14. The Henshaw June Short Story Competition. Up to 2,000 words on any subject, fiction. Entry: £5. Prizes: £100, £50, £25. Winners will be published on the website. Closing date: 30.09.14. Flash 500 Competition. Up to 500 words on any theme. Entry:£5 for one story, £8 for two. Prizes: 1st – £300 and publication in Words With Jam. 2nd – £200. 3rd – £100. Highly Commended – A copy of The Writer’s ABC Checklist or designed copy of Bad Moon Rising Closing dates: 30.09.14, 31.12.14. Curry Mallet Short Story Competition. Adults – up to 2,500 words and Children up to 16 – 500. Stories from adults and children over 11 must have a WW1 theme. Children up to 11 should write a story with the title: There are Dragons Everywhere. Entry: Adult – £5 each, £10 for three. Children – £3 each. Prizes: Adult – 1st – £100, 2nd £10 book token. Children – 1st – £35, 2nd – £5 book token. Closing date: 30.09.14. Mere Literary Festival Timed Flash Fiction Competition. Up to 350 words. The story has to include a phrase that will be given on the Festival website on Thursday September 25. Entry: £2 for the first, then £1 Juniors free. Senior Prizes £50, £25, £15 Junior Prizes 4 x £5 Closing date: 03.10.14. Dark Places Competition Scifi & fantasy stories between 1,000 and 5,000 words. Prize: 1st – £50. 2nd – 3 month subscription to Grammarly. Entry: £1.25. Closing date: 15.10.2014, 15.02.2015. Word Hut Short Story Competition. Up to 1,000 words. Any theme, any genre in English. Entry: £4 Prizes: £70, £35, £15. Closing date: 19.10.14. Observer/Anthony Burgess Prize for Arts Journalism. Up to 1,500 words – reviews of books, concerts, ballet, plays, films or TV shows. Entry:£10 Prize: £2,000 plus publication in Observer. Closing date: 31.10.14. Bare Fiction Prize. Short Stories up to 3,000 words, Flash Fiction up to 500 words. Entry: Flash Fiction £6, Short Story £8. Prizes, each categor: £500, £200, £100. 4 highly commended x £25. Closing date: 31.10.14. The London Magazine Short Story Competition. Stories up to 4,000 words. Entry: £10.Prizes : £500, £300, £200. The winner published in the magazine and the runners-up on the website. Closing date: 31.10.14. Words with Jam Bigger Short Story Competition. Up to 2,500 words for short story, 1,000 words for shorter, and 250 for shortest. Entry Fee: £6 for the first, then £4. Prizes (in each category): £300, £100, £50. Runners-up – £10. All winners & runners-up receive a free copy of the contest anthology. Closing date: 31.10.14. NAWG Open Writing Competitions. Stories between 500 & 2,000 words. Entry: Stories – £5 each. Optional critique – £5 plus sae. Prizes £250, £100, £50. Closing date: 31.10.14. 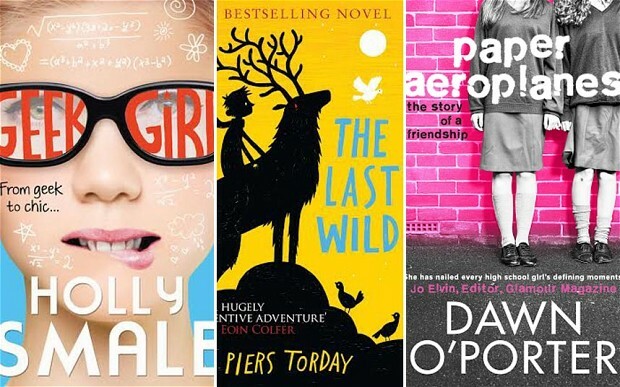 The Times/Chicken House Children’s Fiction Competition. Up to 80,000 words, suggested minimum of 30,000, include brief synopsis, plot plan & letter explaining book’s appeal to children. Entry: £15. Prize: Publishing contract with advance of £10,000, plus representation by a top children’s literary agent. Closing date: 31.10.14. Benjamin Franklin House Literary Prize. Fiction or non-fiction between 1,000 and 1,500 words, young writers 18 – 25. Entries should interpret the following Benjamin Franklin quote for its significance today: ‘When the well’s dry, we know the worth of water.’ Entry: Free. Prizes: £750, £500. Winners published on The Telegraph website. Closing date : 31.10.14. Flash 500 Novel Opening Competition. Up to 3,000 words plus the synopsis. Entry Fee: £10. Optional critique: £25. Prizes: £500, £200. Closing: 31.10.14. Words on the Waves Competition. Poems up to 100 lines. Entry (in euros): 10 for the first, then 8. Prizes – 750 euros, 250 euros, plus publication in the anthology. Five shortlisted writers will have their work in the anthology and receive a publication fee of 30 euros.Closing date: 31.10.14. New Welsh Writing Awards 2015: People, Place & Planet. Between 8,000 and 30,000 words in English, on nature, the outdoors and the environment, as an essay, or book Entry: Free, Prizes: 1st – £1,000 plus e-publication of entry & critique by a literary agent. 2nd – week’s residential writing course at Ty Newydd. Closing date: 1.11.14. Dystopian Fiction Prize. Up to 3,000 words in the narritive tradition of Orwell’s 1984 Entry: £5. Prize: £500 and a bust of George Orwell. Winner published in the Orwell Society’s newsletter & on the website. Closing date: 1.11.14. Caledonia Novel Award. Submit the first 20 pages of a novel together with a 200-word sysnopsis and a separate cover sheet. Entry: £20. Prize: £1,000. Closing date: 02.11.14. Museum of Words International Flash Fiction Contest. 100-word stories on any subject in English, Spanish, Arabic or Hebrew. Entry Free. Prizes: 1st – $20,000. Runners-up (3) – $2,000. A runner-up winner will be selected from each of the three languages left after the overall winner has been chosen. Closing date: 23.11.14. The Mona Schreiber Prize. Up to 750 words. Comic essays, poetry, short stories, scripts and humorous shopping lists are all acceptable. Entry: $5. Prizes: $500, $250, $100. Closing date: 01.12.14. Bath Novel Award. First 5,000 words and a synopsis of your novel, any genre. Entry: £20. Prize: £1,000. Closing date: 31.03.2015. Spinetinglers Short Story Stories up to 5,000 words. Entry: Free. Prizes : £100, £50 and 3 prizes of £25. Closing date: Monthly. Ron Hubbard’s Writers of the Future Competition. Stories up to 17,000 words: sci fi, fantasy or horror with fantastic elements. Entry: Free. Prizes: $1,000, $750, $500. Closing date: Quarterly. Scribble Quarterly Short Story Competitions. Up to 3,000 words, any subject, previously unpublished. Entry: £3. Prizes: £75, £25, £15. Closing date: Ongoing. 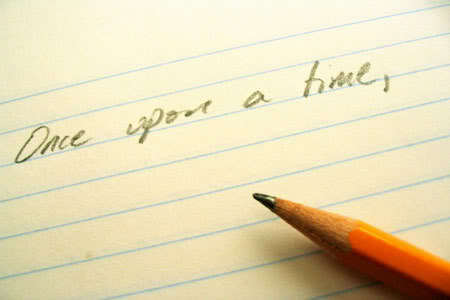 Writers’ Forum Short Story Competition. There’s a new monthly competiton in each issue of this writers’ magazine. All types of stories are accepted, from horror to romance. 1,000 – 3,000 words. Entries arriving too late for one competition are entered into the next. Prizes: £300, £150, £100 in each issue. Entry Fee: £6, £3 for subscribers to the magazine. Critique – £5 (enclose sae if entering by post). Writers’ Forum Poetry Competition. A monthly competition for poems of up to 40 lines. Entries arriving too late for one month go forward to the next. Prizes: 1st – £100. Runners-up – A Brewer’s Dictionary of Phrase and Fable. Entry Fee: £5 each, £3 each thereafter. Includes a free critique (sae required if entering by post). TXTLit Micro Story Competition Txt Lit is a new literary genre of creative writing using SMS -160 characters, including spaces and punctuation. Stories and prose written within such parameters are commonly known as Micro Stories. Txtlit provides a platform to test your writing skills. To enter text the keyword, STORY followed by a space and then your micro story to 82085 in no more than 154 further characters including spaces and punctuation – as many entries as you like.There is a different theme each month. Prize: £50. Entry Fee: £1 plus the normal cost of sending a text message. Flash 500 Humorous Verse Competition. Any kind of humorous verse, up to 32 lines. Closing Dates: 30th June, 30th Sptember and 31st December. Prizes: 1st £150 and publication in Words with Jam. 2nd £100. 3rd £50. Entry Fee: £3 for the first, £2.50 thereafter. Cinnamon Press Competitions Poetry Collection Award. Entries -10 poems of up to 40 lines. Closing Date: 30th June and 30th November. Prize: £150 and your collection published. Entry Fee: £16 per batch of ten (includes a free copy of the winners’ anthology). Cinnamon Press Short Story Award. Stories of 2,000 – 4,000 words. Closing Date: 30th June and 30th November. Prize: £150 and publication. Entry Fee: £16 (includes a free copy of the winners’ anthology). WriteOnSite Writing Competition. WriteOnSite is a unique on-line writing competition which you can enjoy from the comfort of your own sofa, from anywhere in the world! The competition opens at 5.30pm GMT every Saturday, at which point three themes are given. Choose a theme, pay your entry fee and then write – 20 minutes to complete your story. Three entries are then chosen to be read and judged by all the other entrants during the following week. Closing Date: Every Saturday. Prize: £40. Entry Fee: £3. Telegraph ‘Just Back’ Travel writing Competition. Your travel writing could earn you £1,000. That’s the prize for a ‘Just Back’ article of the year. The weekly prize is £200 in the currency of your choice from the Post Office. Free to enter. Flash 500 Competition. 500 words Closing Date: 30 June, 30th Septemebr, 31st December. Prizes: 1st – £300 and publication in Words With Jam, 2nd £200, 3rd £100. Highly Commended – A copy of The Writer’s ABC Checklist. Entry Fee: £5 each, £8 for 2. Daggerville Games Writing Competition. This monthly contest from Daggerville Games is for short pieces of writing (up to 250 words) on a different theme each month. Closing Date: End of each month. Prize: $50 Amazon voucher. Free to enter. Dark Tales Short Story Competition. Horror and speculative fiction up to 5,000 words. Current Closing Date is 30th April. Prizes: £250, £50, £25. Winners to be published in Dark Tales. Entry Fee: £5. Spinetinglers Short Story Competition. International competition from Spinetinglers Publishing is for stories of up to 5,000 words. Closing Date: Monthly. Prizes : £100, £50 and 3 x £25. Winners will be published on the website. Free to enter. Sixfold Writing Competition. American competition from the online magazine Sixfold is for short stories and poems. Contributors vote to select the contest winners. Entries must be uploaded as pdf files. Closing Date 23rd April. Prizes: $1,000, $200, $100. Highest voted manuscripts will be published in two separate issues. There will be a paperback book available for the production cost of $10. Entry Fee: $3. Poetic Republic Poetry Competition. Poems on any subject – no more than 42 lines. Judging by the participants through an anonymous peer review system. An eBook containing 48 poems will be published and include a selection of the best or most interesting comments. Closing Date: 30th April. Prizes: Single Poem – £2,000. Portfolio Prize – £1,000. Entry Fee: £7. Bristol Short Story Prize 2014. Annual international contest for stories of up to 4,000 words on any subject. Closing Date: 30th April. Prizes: 1st £1,000 plus a £150 Waterstone’s gift card, 2nd £700 plus a £100 Waterstone’s gift card, 3rd £400 plus a £100 Waterstone’s gift card. Runners-up (17) £100. All 20 winners to be published in Bristol Short Story Prize Anthology Vol 7.
International Rubery Book Award. For independent and self published books, including eBooks. To enter, submit a copy of your published book. Closing Date: 30th April. Prizes: £1,000, £200, £75. The best entry will be read by a top literary agent from MBA. Entry Fee: £35. Tom Howard/John H Reid Fiction & Essay Contest . Stories, essays or other works of prose no more than 6,000 words. Any theme. Previously published works accepted. Closing Date: 30th April. Prizes: Best Short Fiction $1,000. Best Essay $1,000. Plus five Honourable Mentions in each category with prizes of $100 each. 12 winning entries published on the website. Entry Fee: $16. A Ridiculous Short Story Competition. Stories of up to 1,500 words in any genre except horror. Your story must begin with the sentence, ‘She did not need a looking glass to know she must look a fright.’ Closing Date: 30th April. Prizes: £50, £25, £15. Entry Fee: £5. Ver Poets Open Poetry Competition. Any subject but 30 lines or fewer. Closing Date: 30th April. Prizes: £600, £300, £100. Winning and selected poems will be published in an anthology. Entry Fee: £4 each, £10 for three, £2 thereafter. The Edible Book Festival was held at the University of Illinois last Monday. Bibliophiles, book artists, and food lovers around the world gathered to celebrate the book arts and the (literal!) ingestion of culture. Participants create an “edible book,” which can be inspired by a favourite story, involve a pun on a famous title, or simply be in the shape of a book (or scroll, or tablet, etc). All entries are exhibited, documented, then eaten. BookAwardz sounds a bit like the Oscars but it says it’s for serious readers and it’s actually an app for Literary prizes.